Scroggins Aviation builds a Space Capsule for The First tv series. 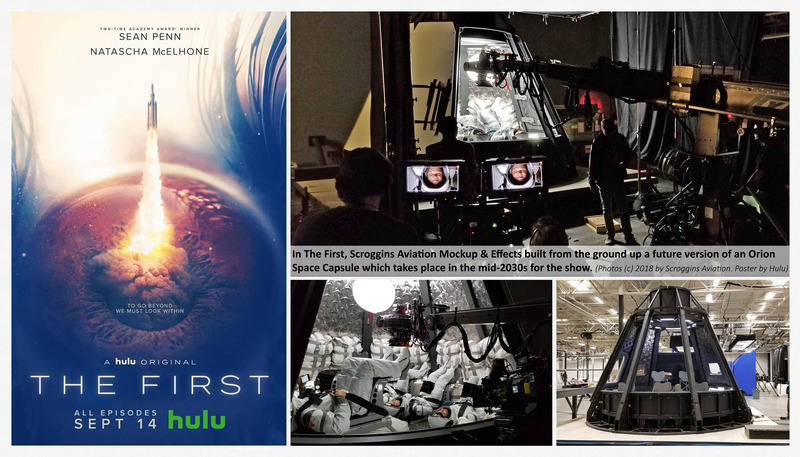 In the fictional series The First on Hulu, Scroggins Aviation Mockup & Effects built from the ground up a future version of an Orion Space Capsule for the producers. The capsule was engineered by the Scroggins team to make it motion base capable, horizonal and vertical positioning during filming. The entire Scroggins team would like to thank the producers for giving us the opportunity to build them this craft. The First premiered on September 14, 2018 on Hulu.